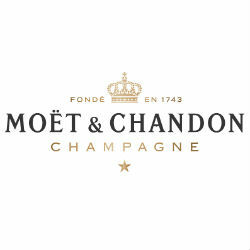 Tanzania will see its very first champagne brunch with free flowing Moët & Chandon champagne, Belvedere vodka and Hennessy cognac, taking place on Sunday 8th September at The Dar es Salaam Serena Hotel. The steady rise of Tanzania’s middle class has brought new trends in the consumption of luxury goods and the desire for premium wines and spirits. According to Alia Hirjee, director of Qway International – the exclusive agents and distributors of the Moët-Hennessy portfolio of champagnes, wines and spirits in East Africa, “…consumption of premium wines and spirits is definitely on the increase in Tanzania. A new wave of young professionals with a growing purchasing power wants to access the same standard of quality and prestige available in more developed economies”. Africa is a new promising territory for champagne sales. Although the largest markets in the continent remain Nigeria and South Africa, the East African region, with its strong and sustained economic development, is a market of growing interest.